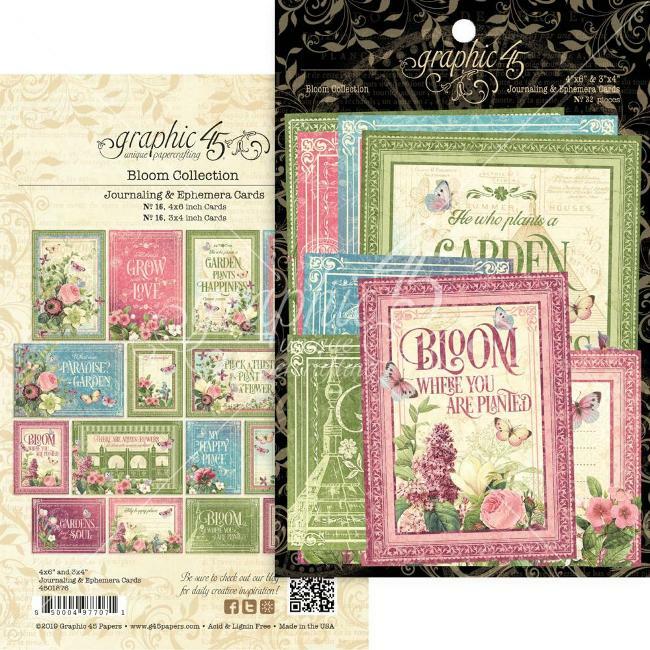 13 per pack Includes ribon for tag. 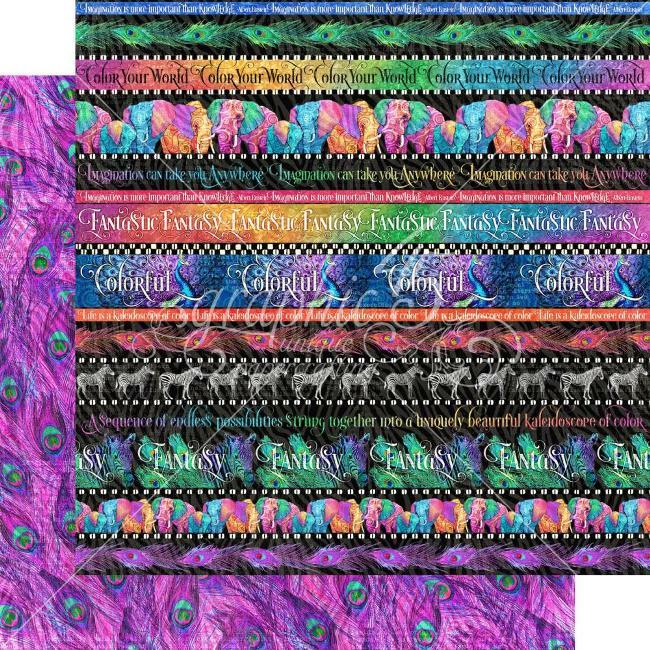 Includes 13 tags and three 1 Yard ribbons. 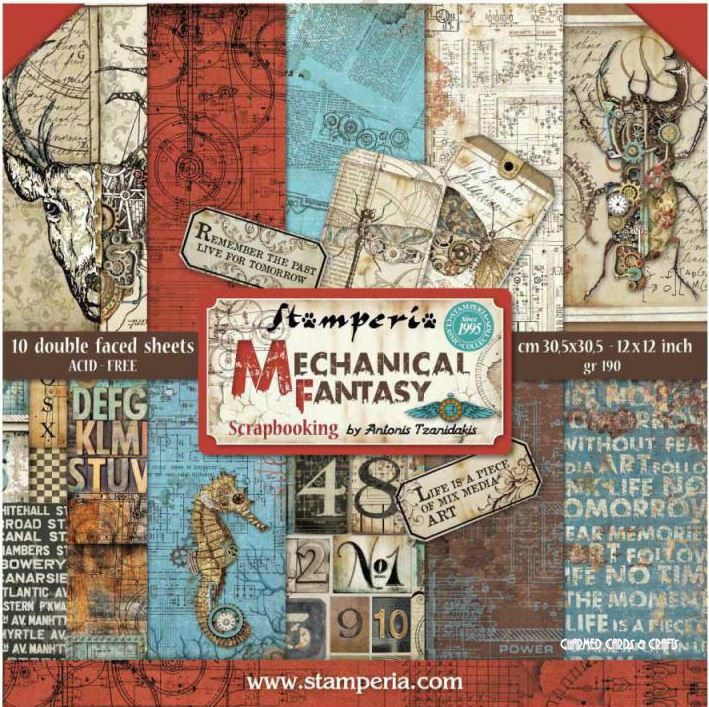 7Gypsies Artist Trading Cards 2.5"X3.625"
5" x 7" sheet of stickers, created especially with ATC cards in mind, but equally perfect for any small project. 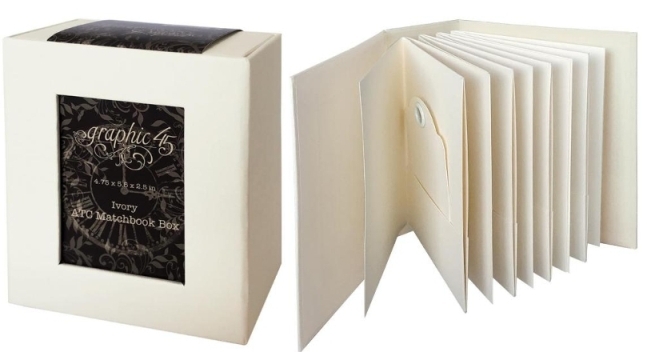 The 7 Gypsies Photo Carousel Cards - Gypsy Market contain 24 double-sided pages that fit into the 7 Gypsies Photo Carousel. 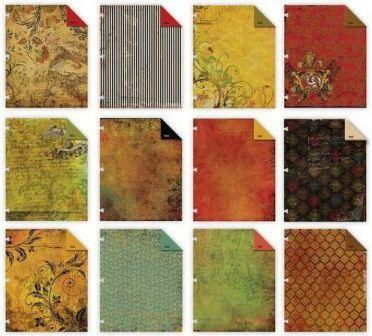 There are 12 designs (2 of each design) and they measure approximately 5" by 6.25" each. 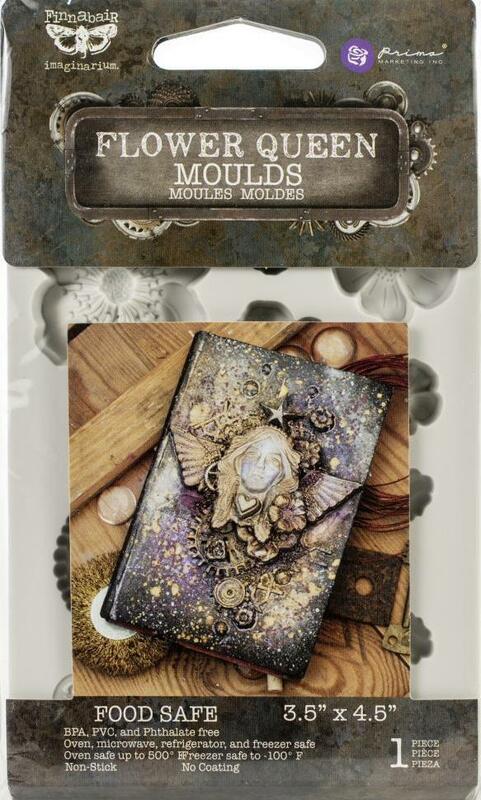 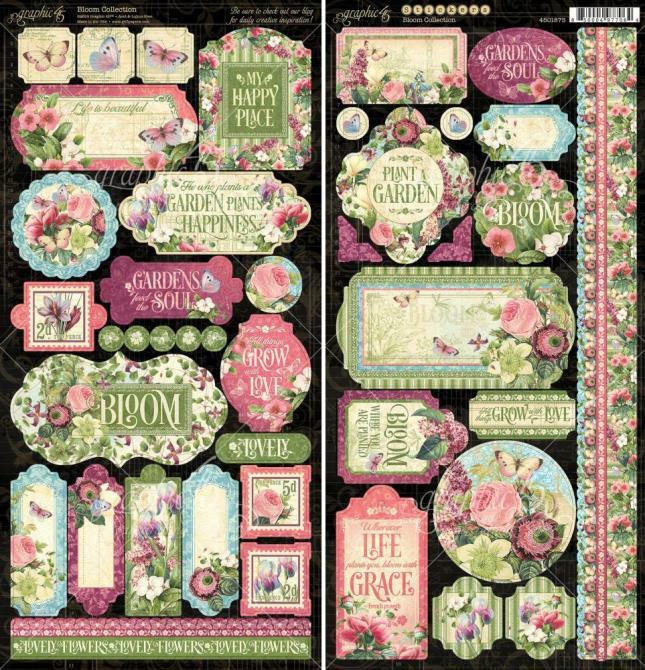 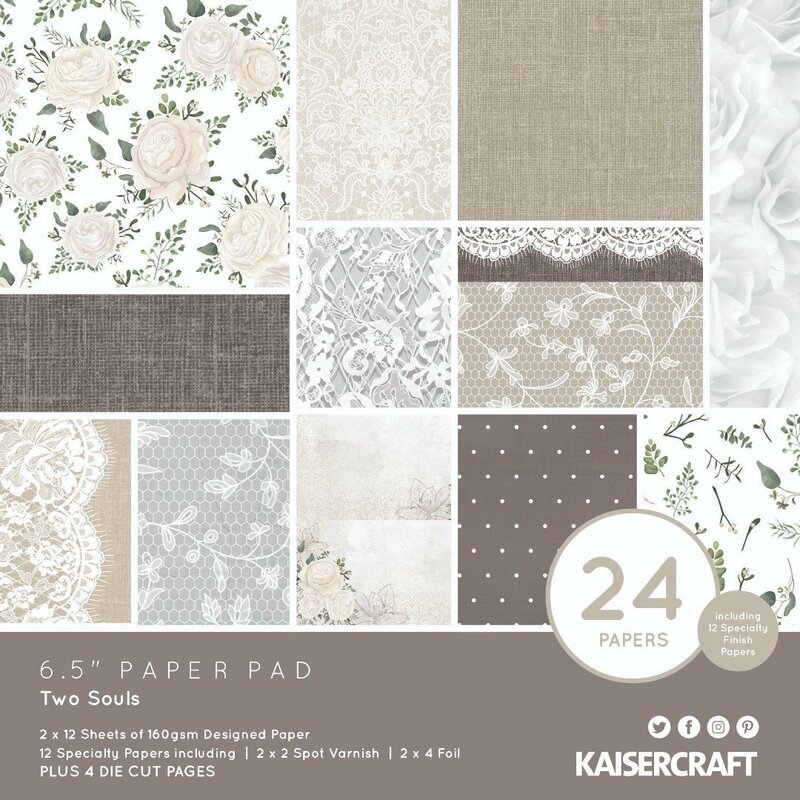 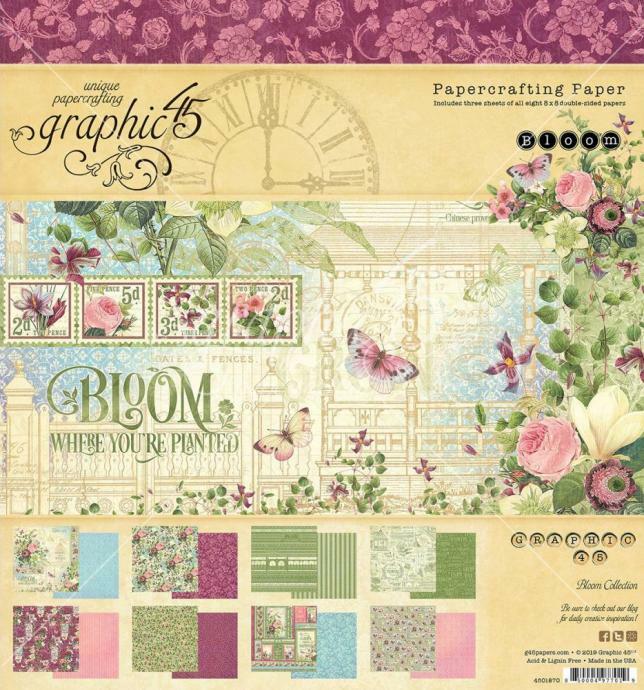 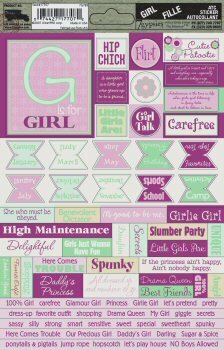 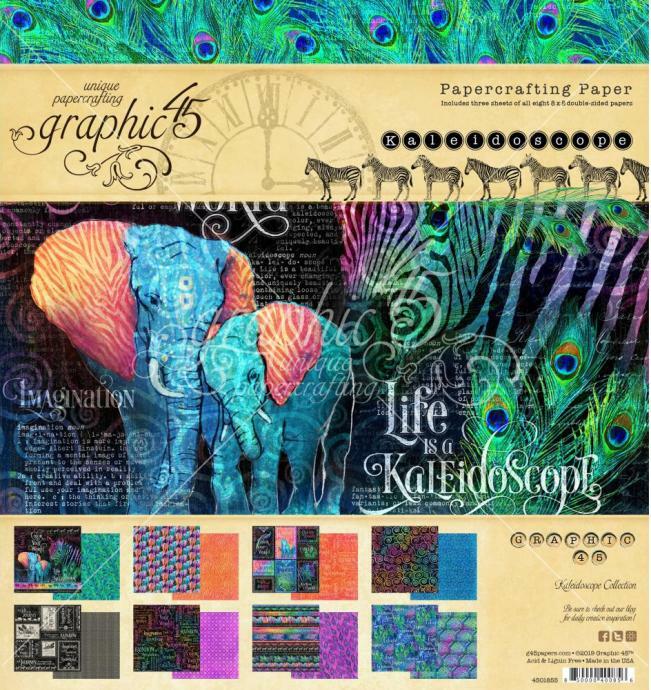 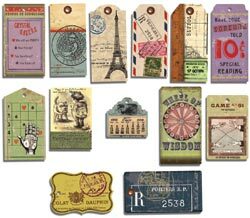 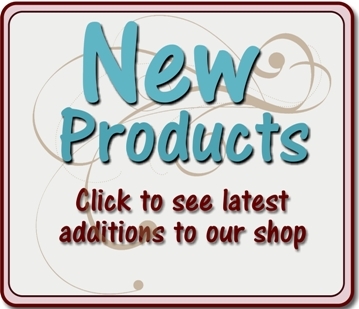 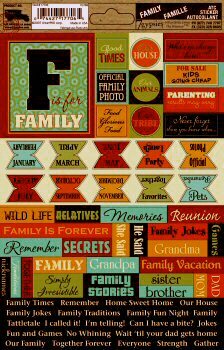 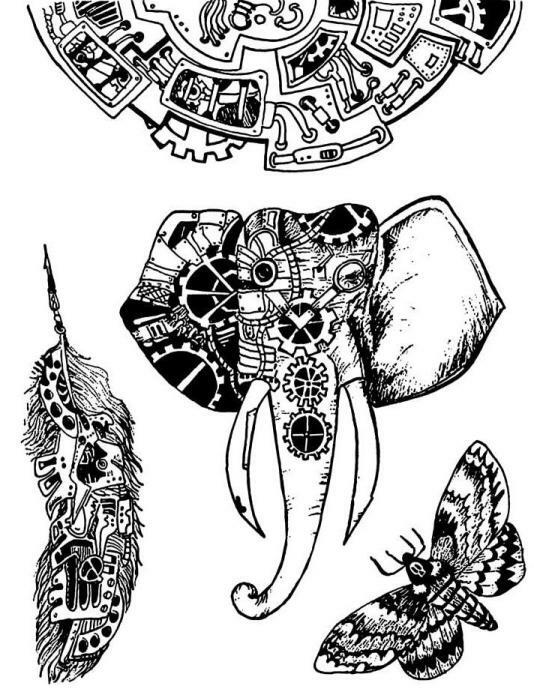 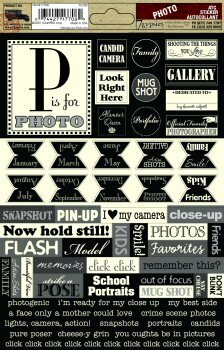 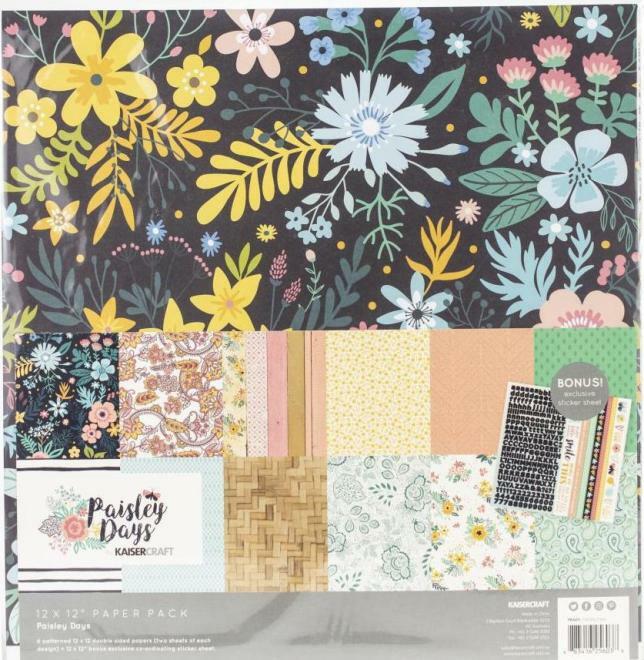 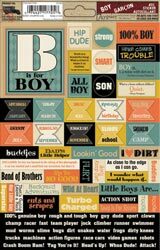 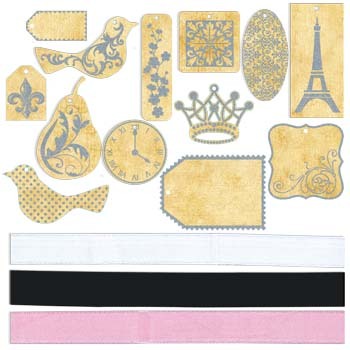 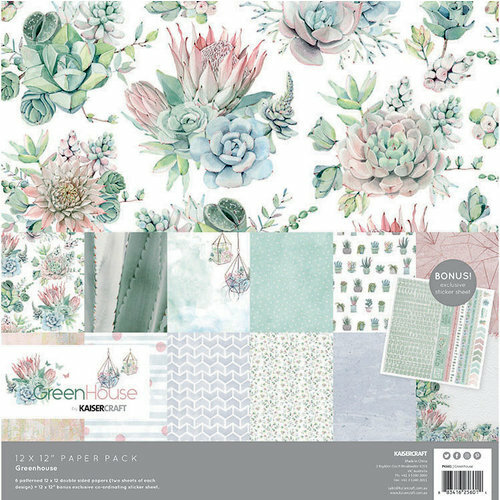 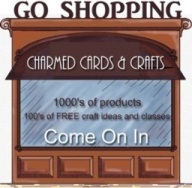 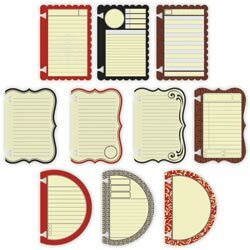 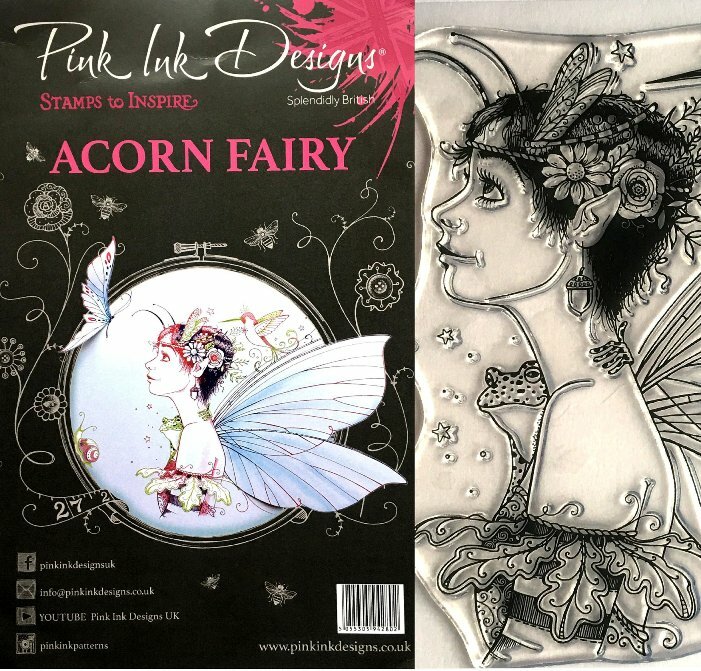 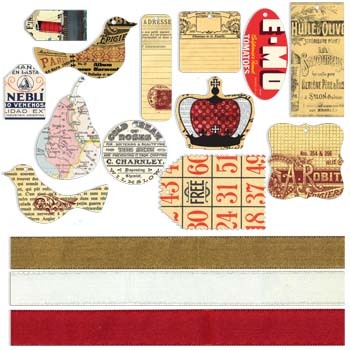 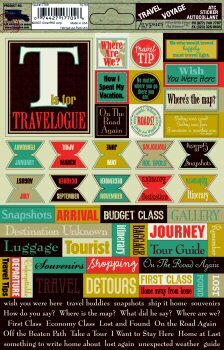 Great for scrapbooking, paper crafting, rubber stamping, collage or altered art as well! 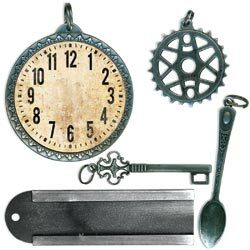 Includes 2" clock face, 3.5" spoon, 1.375" sprocket, 3" key, 3"X.875" label holder.